The decision was made by President Rivlin and in coordination with Prime Minister and Minister of Defense Binyamin Netanyahu and IDF Chief of Staff Lt-Gen Aviv Cochavi. Abu Rukon will replace Brig-Gen Boaz Hershkovitz who has served in the role for the past three years. Abu Rukon, 47 and a member of the Druze minority, is currently serving as the IDF Military Attaché in China. He has served for 25 years in the IDF, beginning as a soldier and commander in the Paratroops Brigade, and continuing in a series of command posts in the Intelligence Branch for many years. In addition, Abu Rukon has commanded the Havat Hashomer base. He is married and the father of four children, and holds a Ph.D. in Middle East Studies from Bar-Ilan University. 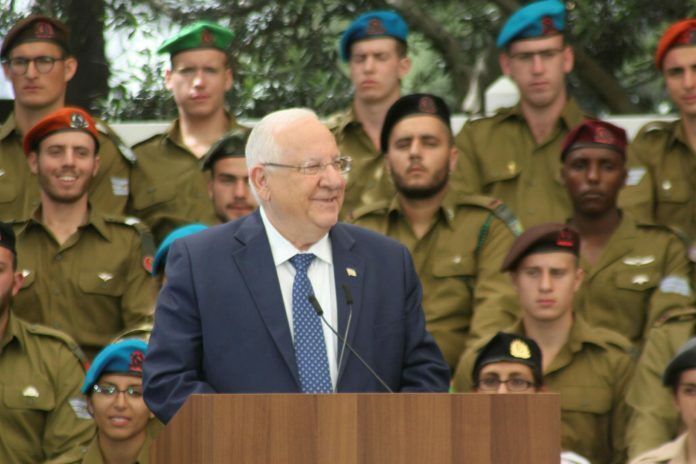 “I am confident that his experience and skills will further deepen the strong ties with the IDF and the whole security establishment,” Rivlin stated.